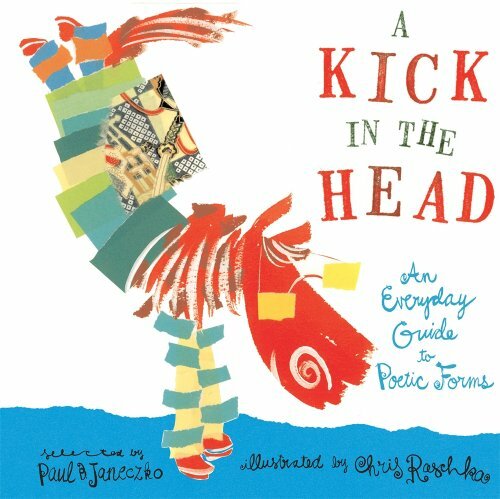 In continuing from last week with National Poetry Month , I'm sharing three poetry collections for kids of all ages. It's possible - and I'm not tossing out blame here - that you've thought of the poetry progression as Mother Goose, Shel Silverstein, and whatever they hand out in middle school. That's okay, because I was once like you. But now you can start your foray into poetry with these incredible collections. Whether it's starting small with an Odgen Nash couplet and moving on through to a Shakespeare sonnet, or showing a limerick where we all know the form to a pantoum where we learn something completely new, this book both serves as a collection of poems and a primer of forms. Along with a sample poem from a variety of poets, each form is explained briefly, but in a fun, entirely accessible way for the youngest readers to us poetry-deprived adults. The bright, lively, abstract illustrations of Raschka capture the different tone of the poems and lend to the lightness of the collection. You can pick up this book in paperback, so it's a ridiculously low investment for a lifetime of understanding poetic forms. 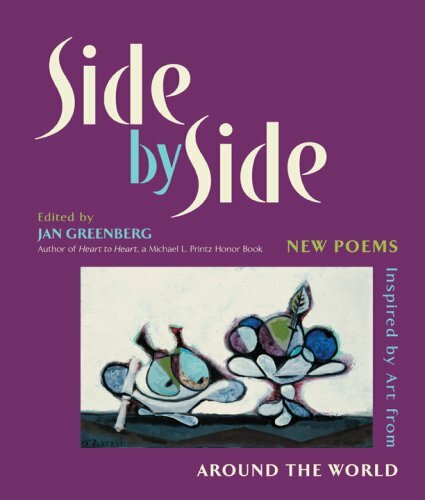 This is an amazing collection of modern and classic poems from a diverse group of poets that includes Ogden Nash, Langston Hughes, Sonia Sanchez, and Roald Dahl. I love the eclectic feel where "Gas" by C.K. Williams is one page away from a poem from Macbeth and a Native American poem taken from a Osage prayer is followed by a poem by Rudyard Kipling. 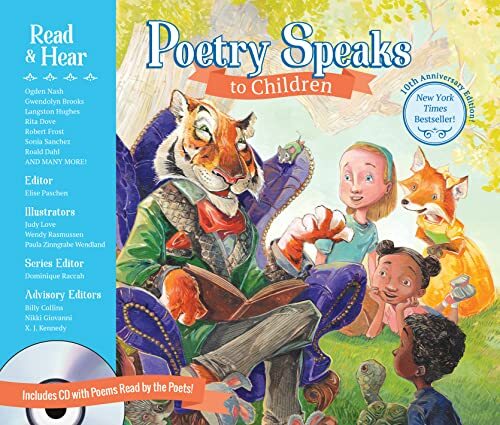 The book is accompanied by a CD of many of the poems read by the poets, which means that thanks to archival copies, today's children can hear readings of Robert Frost and Langston Hughes, among others. Three illustrators bring these poems to life, giving us a mix of styles, while still keeping a general consistency throughout the book. Absolutely one of of my favorite poetry books. Poetry and art. Multiple languages and multicultural images. Enriching and educational, this collection is masterful in its presentation. Each poem is written in the poet's native language, as well as in English, and represent a wide range in style and subject. Each page is illustrated by an iconic, related work of art, which is such a natural fit to poetry that it makes the book inspired. The overall sophistication makes this a collection for the older elementary child and on up. While it would be a pleasure to own and peruse in any home library, I have to say that it would be ideal for the classroom.